During January-February 2017, a total of 32.18 lakh tourist arrived on e-Tourist Visa (eTV) as compared to 20.54 lakh during January-February 2016, registering a growth of 56.7 per cent . A total of 1.70 lakh tourists availed the e-Tourist Visa services in February alone as compared to 1.17 lakh during the month of February 2016 registering a growth of 45.2 per cent. UK (26.1%) occupied top spot in the list of source countries followed by USA (11.0%), France (7.3%), Russian Fed (7.3%) and China (5.1%). While New Delhi Airport (42.0%) received the most number of tourists on eTV, Mumbai Airport (19.6%) was next, followed by Dabolim (Goa) Airport (13.3%), Chennai Airport (6.3%), Bengaluru Airport (4.9%). 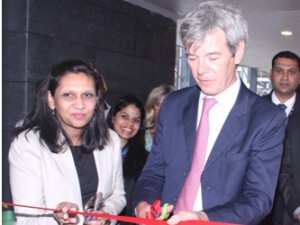 The relocated France Visa Application Centre was inaugurated by Yves Perrin, Consul General of France in Mumbai, on February 27, 2017. Residents of Pune can now apply for visas to multiple countries, including France, under one roof, at the modern and centrally-located Joint Visa Application Centre in Viman Nagar. The Centre also serves 15 other Schengen countries besides France, including Italy, Germany, Austria, Greece, Latvia, Sweden, Swiss, Portugal, Belgium, Denmark, Hungary, Norway, Luxembourg, Cyprus and Estonia. In addition to this, the centre will also cater to the client governments of Australia, UK, Ireland, Canada, USA, Malaysia, South Africa, Turkey and UAE. Many of these centres were earlier located in Tadiwala Road and Kalyani Nagar areas of the city. 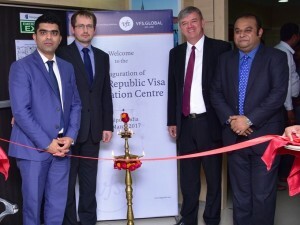 With the launch of the new Joint Visa Application Centre, VFS Global has consolidated all visa requirements under one roof. With a larger space and state-of-the-art infrastructure, the new Joint Visa Application Centre has an increased number of application counters making the visa application process quicker and more convenient for applicants. The centre is equipped with dedicated counters for individuals, representatives and travel agents making the visa application experience hassle-free and convenient for all. Making visa application facilities convenient for travellers, the Chinese Visa Application Centre was inaugurated at Shivaji Stadium metro station, Connaught Place, New Delhi by HE Lua Zhaohui, Ambassador of the People’s Republic of China to India; Wei Xiaodong, Vice Director-General, Service Bureau for the Foreign Ministry and its Overseas Missions of China; and Zubin Karkaria, Chief Executive Officer, VFS Global Group. Commenting on the launch, the Ambassador said, “This is going to facilitate tourism between the two countries even further. 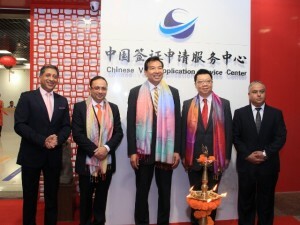 Both countries boast of a huge population and want a better two-way exchange of tourist arrival numbers.” Adding on, Zubin Karkaria stated, “We anticipate strong tourism growth between India and China and this spacious centre will enable us to cater to the rising demand for China visas and simultaneously enhance the applicant’s experience.” On the occasion, the very first ‘China in Luxury’ outlet was also launched in the centre where travellers can avail of premium packages on exclusive travel experiences. In a move to boost Indian arrivals, Malaysia has launched a 15-day e-visa for travellers on a short visit. This was announced at a press conference in New Delhi by Malaysia’s Minister of Tourism and Culture, Dato’ Seri Mohamed Nazri Abdul Aziz. “India and Malaysia share great relations that go a long way back and we want to foster these ties. We decided to launch this e-visa for the benefit of travellers who visit the country for a short while and since it takes only 48 hours for approval, it is also useful for those who require it urgently,” he said. The e-visa includes a single-entry and costs $20. Tourism Malaysia and leaders from TAAI, TAFI and OTOAI also signed a commitment plaque fortifying each other’s commitment to promoting travel from India.With a focus on sustainable tourism, Malaysia is also pushing its special interest packages for premium shopping, luxury travels, sports tourism such as golf, and Malaysia as a wedding and honeymoon destination. India is the sixth top tourist generating market for Malaysia with a total 722,141 Indian visitors recorded in 2015. 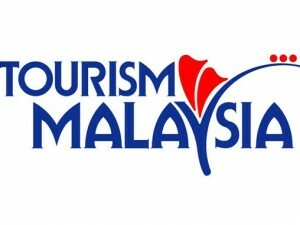 Last year, from January to October, Malaysia received a total of 540,530 Indian tourists. Malaysia hopes to achieve 1 million arrivals from the India market this year. As part of its expanding visa services network for the Government of India’s Ministry of External Affairs worldwide, VFS Global will now manage India visa processing services in three additional countries: Spain, Thailand and South Africa. VFS Global has served the Government of India since 2007, and manages visa processing for the client government in a total of 12 countries worldwide. The Embassy of India in Spain and VFS Global have signed a four-year contract to manage India visa processing services in three cities: Madrid, Barcelona and Las Palmas. The new centres in these cities are on schedule to open in April 2017. 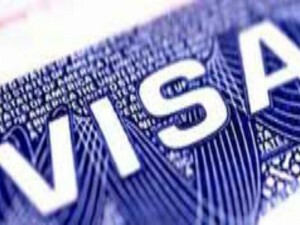 VFS Global won the contract to offer India visa processing services in Spain in July 2016. However, the launches were delayed due to a petition filed by BLS International against the Government of India in the Delhi High Court, disputing its disqualification from the Spain bid for failing to meet the minimum technical criteria. Spain is the 12th country where VFS Global will begin visa processing operations for the Indian Ministry of External Affairs. 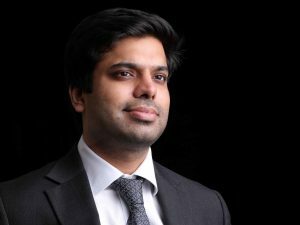 VFS Global also signed contracts to manage Indian visas in Thailand (Bangkok and Chiang Mai) and South Africa (Johannesburg, Durban, and Cape Town). The Government of India has liberalised its visa policy for Thai nationals. It has decided to grant five-year multiple entry Tourist Visa and five-year multiple entry Business visa to Thai nationals with immediate effect with continuous stay of 90 days during each visit. It has also started Express visa service where visa will be issued by next working day. Separate Immigration counters and facilitation desks will be provided for Medical Visa. This service will initially be available at international airports like Delhi, Mumbai, Kolkata, Chennai, Bengaluru and Hyderabad. India has also relaxed the minimum salary limit and fixed at Rs 9.10 lakhs per anum for Employment visa to those Thai nationals who will be engaged at teaching faculty in the IITs, Central Universities, NITs etc. Foreign teaching faculty employed at South Asian University and Nalanda University will be exempted from minimum salary limit for the purpose of employment visa. Indian Embassy will grant Intern Visa to Thai nationals to pursue internship in Indian companies, educational Institutions and NGOs up to a maximum of 50 interns per year. Indian Embassy will also encourage Thai nationals to shoot feature film in excellent Indian locations and they will be provided Film Visa.